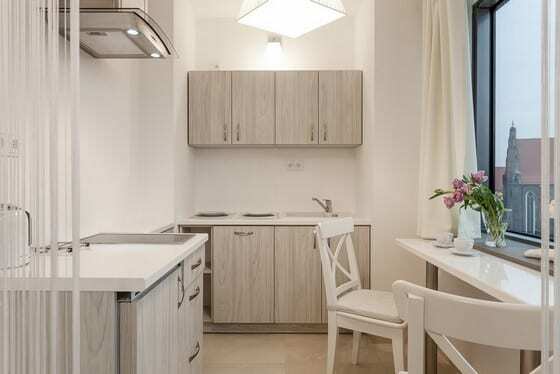 We recommend a cozy apartment at Krawiecka Street. 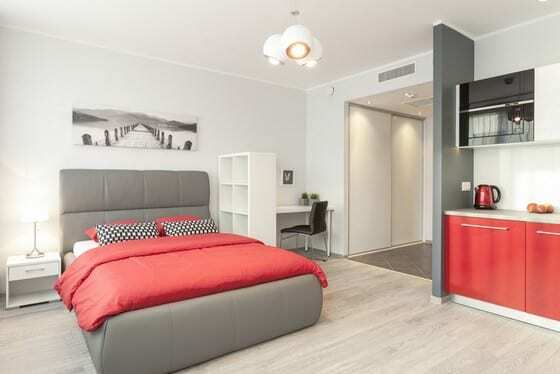 The apartment is located in the center of Wroclaw old town. In addition to the convenient location of the apartment it has many other advantages such as a high standard. The apartment is fully equipped. The kitchenette is equipped with a refrigerator, dishwasher, electric hob and a kettle. The bathroom is equipped with bathtub, sink and toilet. The apartment features a working desk. In addition, for our guests we prepared a set of towels. Key collection is at the reception Absyntapartments Street. Krawiecka 3 (first floor) of hours. 8:00 am to pm. 22:00. After these hours to pick up the keys take the street St. Anthony 15 to the hostel Absinthe.